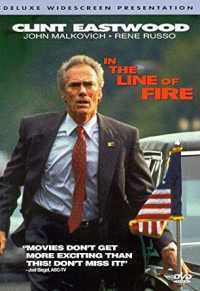 In the Line of Fire is a 1993 American political thriller film, directed by Wolfgang Petersen and starring Clint Eastwood, John Malkovich and Rene Russo. Written by Jeff Maguire, the film is about a disillusioned and obsessed former CIA agent who attempts to assassinate the President of the United States and the Secret Service agent who tracks him. Eastwood’s character is the sole active-duty Secret Service agent remaining from the detail guarding John F. Kennedy in Dallas, Texas, at the time of his assassination in 1963. The film also stars Dylan McDermott, Gary Cole, John Mahoney, and Fred Thompson.